This is something I’ve wanted to do for a long time – give one of my pilots some mobility, so they can turn their head to see where they’re going. I picked my first pilot, Hippy Horse, for the operation. 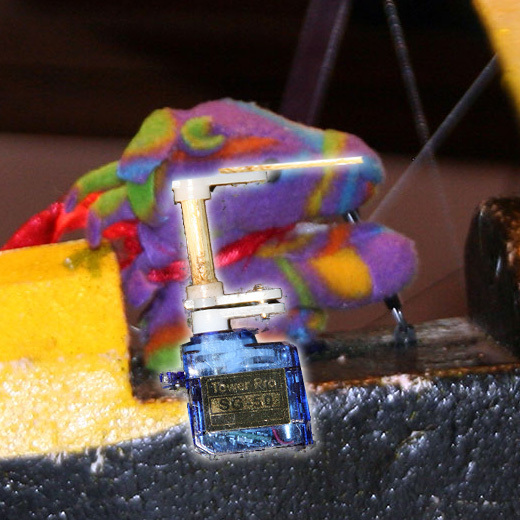 I wanted to put a 5 gram servo inside of the figure and rig it up to turn Mr. Horse’s head in concert with the rudder. I dug in my parts box for the ‘Y’ connector that I’m sure I have, but I simply couldn’t find it. Being impatient, I rolled my own from two servo extensions I had on hand. 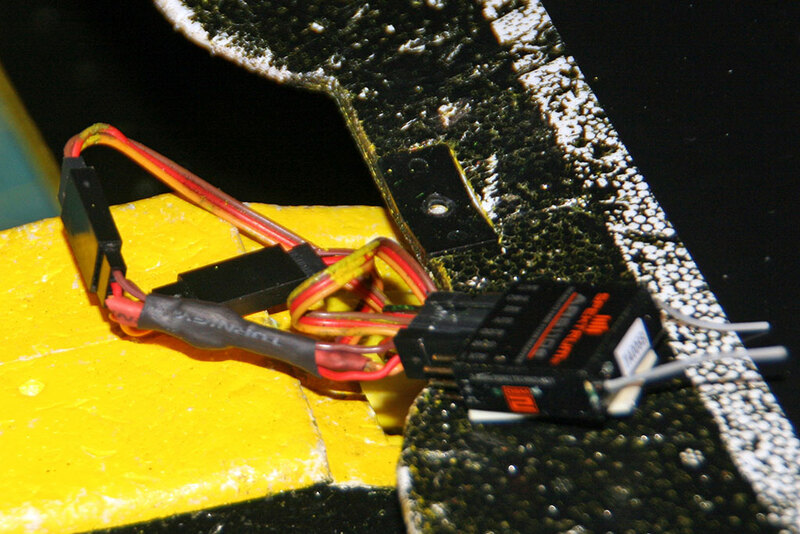 Both the new 5 gram pilot servo, and the existing rudder servo, plug into this. I pulled off the pilot and cut a hole for the new servo. I puzzled over an armature for quite a while, and finally came up with this. The servo arm is screwed onto the servo. A second servo arm is screwed onto the first, upside-down. I epoxied a length of bamboo skewer into the gear hole in the servo arm, then repeated the process for a third servo arm. 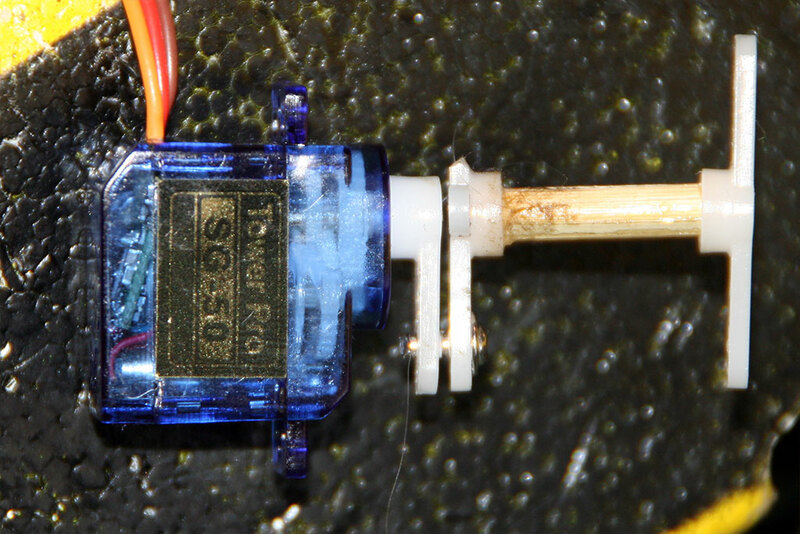 Finally, I attached a length of coffee stir (not shown) to the top servo arm. The coffee stir sticks down into the horse’s nose. I rigged up a new control stick. The old one was glued in place and this one needed to be able to move with the pilot. 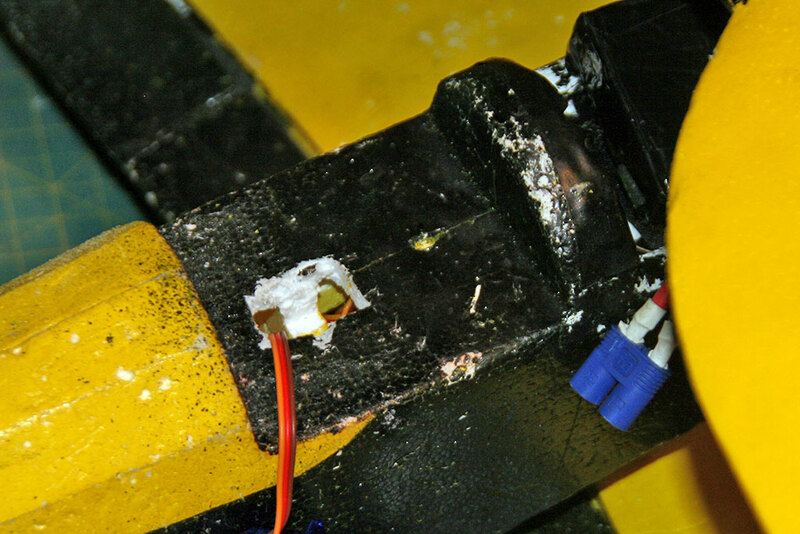 I hooked a short length of piano wire thru the end of yet another servo arm, then wrapped it in black electrical tape. I epoxied the final bit of servo arm into the cockpit and placed the stick in the pilot’s hands. Then I put everything back together again. Here’s an “X-ray view” showing how the setup goes inside the pilot. 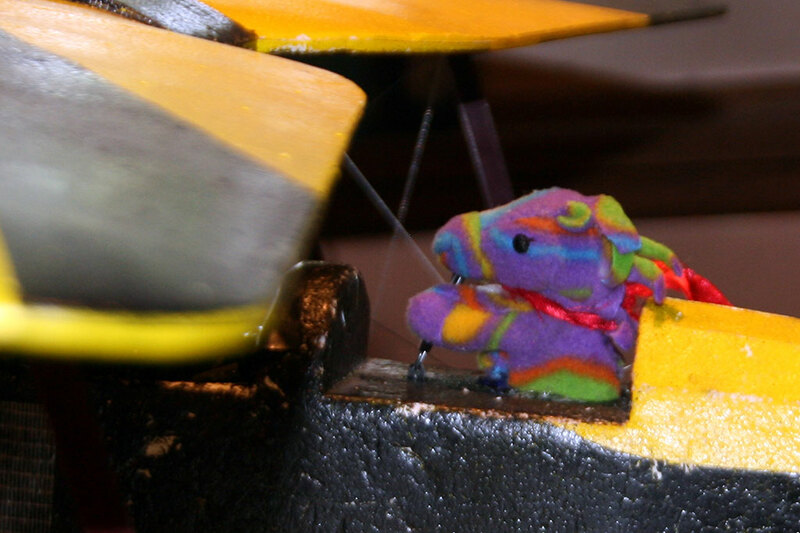 This entry was posted in Biplanes & Triplanes, Custom & Modified, My Planes, R/C Planes. Bookmark the permalink. I do think it is quite rude of him not to wave on those flybys.